A 20-Month military ruler of Nigeria during 1984-85 and deposed in a coup, Gen. Muhammadu Buhari has come back after thirty years to win the Nigerian Presidential polls held on March 28. His victory goes down in the checkered democratic history of Nigeria as the first ever win by an opposition presidential candidate. As results poured in Tuesday night from across the vast country, incumbent Goodluck Jonathan accepted defeat, amid fears of religious tensions between Jonathan’s Christian Supporters and Gen Buhari’s Muslim constituencies. However, the vote is a clear mandate to Mr. Buhari’s promise of containing and wiping out the Islamic terrorist outfit Boko Haram, which he has labelled as the gang of bigots. Mr. Buhari secured a close save from the outfit’s murder attempt in July 2014. He would find his troubles increase as the outfit has recently sworn allegiance to the Islamic State. The elections ended 16 years of predominant rule of People’s Democratic Party and four year term of the party’s Goodluck Jonathan, still a popular figure in the Christian south of the country. Gen Buhari stood as the common candidate of the opposition, united under All Progressive Congress. Nigeria is considered an African powerhouse blessed by huge oil and gas reserves but unable to unleash its potential because of ever raging internal conflicts. The country started off with three provinces as a federal state since its independence from British rule in 1946, and has now 36 states. The demand for more states continues. 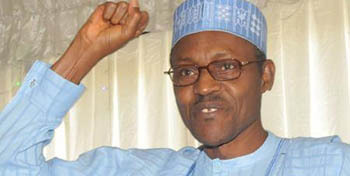 Gen. Buhari, 72, is remembered for his iron-fisted rule as the military head of Nigeria thirty years ago. He curbed people’s freedom, controlled press and imposed bans on public movements, which he has tried over the past years to defend as necessities to restore peace and discipline. Last year, Nigeria’s Dangote Cement- Africa’s largest cement manufacturer- secured an investment of $800 million in Nepal in its first ever venture in South Asia.